Locates and helps retrieve your missing device. 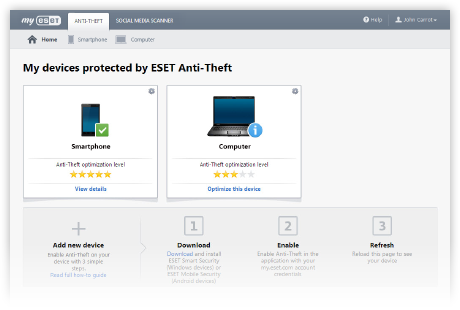 Should you part with your device, ESET Anti-Theft helps to track and locate it. See its position on the map, monitor foreign activity, and increase the chance of getting it back. First, add all your devices you want to protect to Anti-Theft. 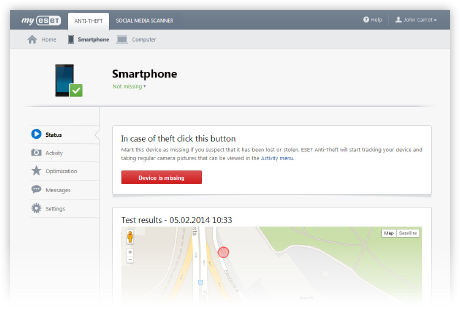 If it so happens that your device gets lost or stolen, mark it as missing. 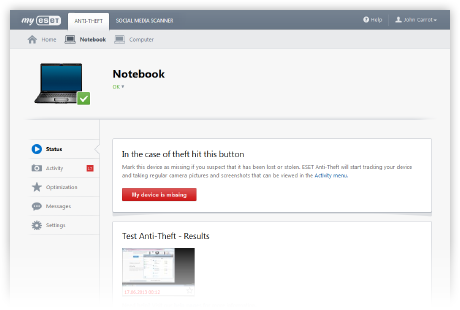 If you mark your device as missing, automatic monitoring is activated, allowing you to view webcam photos and screen captures. All the while, your user accounts stay protected. Aided by the networks in range, ESET Anti-Theft locates your device's position on the map to help you retrieve it. Want to get in touch with the finder? 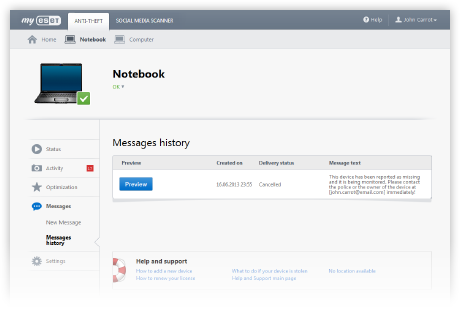 Send a one-way message that appears on the screen of your device. You can even add a webcam photo of the finder(s) if you managed to snap one.